Originally and Truthfully is a solo exhibition by Korean artist Sunsook Roh, curated by Christina Arum Sok. In this exhibition, Roh presents new works alongside old works that have been re-purposed. Roh continuously evolves her work through the Tree of Life series. In the previous iteration Tree of Life V, Roh examines the visible and invisible world in relation to the interior space of the conscious and unconscious mind. The tree and its branches were made in the exact anatomical configuration of the blood vessels inside the brain that contains neurons, which make memories. As such, Roh refers to the way humans cope, code and recollect experiences, raising questions about how one perceives, connects, experiences and subsequently stores experiences into memories, as memories build new branches of neurons inside the brain—a metaphor of the many branches of human history that continues to evolve in our world today. While Tree of Life V was an inward journey into the psychological landscape of the human mind, in this exhibition’s Tree of Life VI, Roh strives for emotional resolve and spiritual liberation. The same Tree’s fiberglass roots are now gauze-wrapped, representing the different stages of one’s life as a source of inner energy, personal history and mortality. 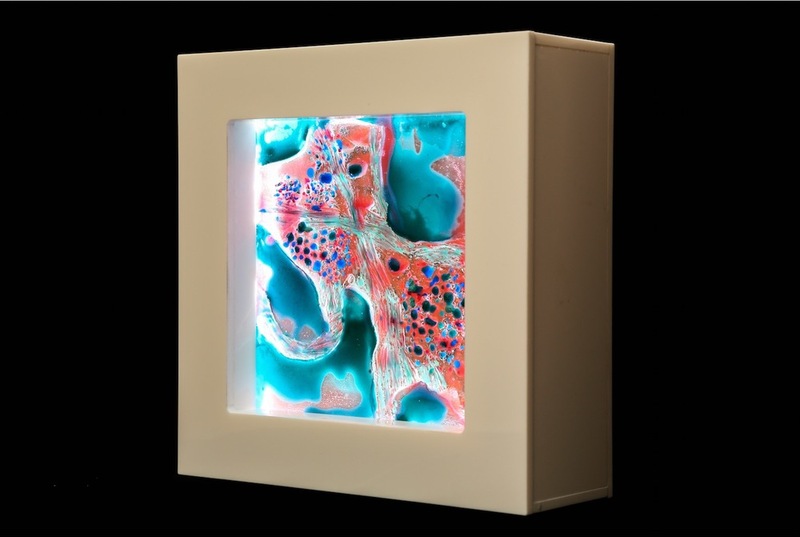 Just as the Tree has evolved and transformed into a new state, the 7-foot tall light panel work contains resin pieces that have been the result of generational transformations. An arduous process that begins first with sculpted slabs of clay in which the plaster cast is created so that the silicon rubber can be moulded into a frame with the plaster cast. 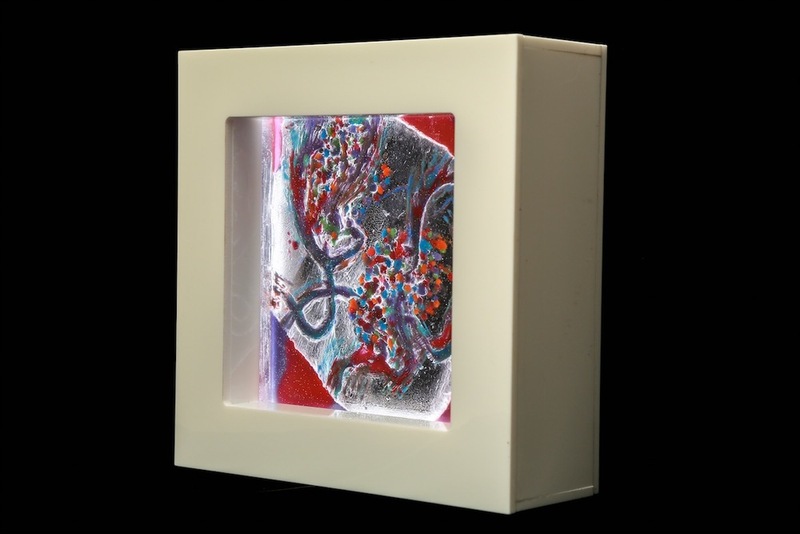 Finally, once the silicon rubber mould is set, Roh uses different colour pigments mixed with polyester resin to create slabs, which are then encased either in wood or acrylic, and embedded with LED lights to create the final work. 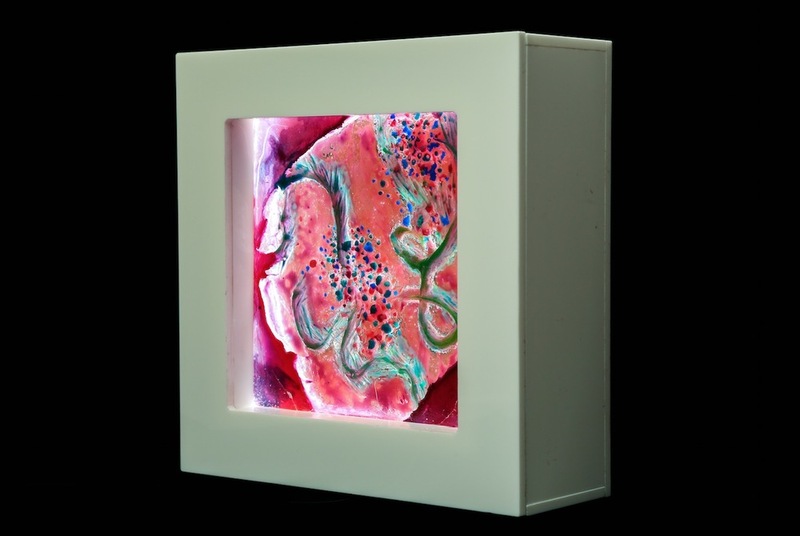 Through this process, the earthly material, clay, is transcended to pure light and energy of colour, a transcendence that parallels the artist’s journey to emotional and spiritual transcendence and liberation. On opening night, Roh will perform the ‘Salpuri’ dance adjacent to the Tree of Life VI. This dance is about the artist’s process of spiritual liberation, just as the work itself went through its own process of transformation from a raw, physical material to pure light and energy of colour. This dance is considered the most complicated Korean traditional dance; a dance that involves expressing restrained inner emotions through extremely subtle dance movements. The ‘Salpuri’ dance was originally derived from shamanistic rituals for spirit purification in ancient times, but turned into a purely artistic dance form for its beauty and grace in modern times. The artist chose this particular dance as a metaphor of her personal journey, having roots as a Korean woman and artist, and going through a lifelong art making process trying to reach spiritual transcendence and her own personal spiritual liberation. Originally and Truthfully is the second in a series of four projects curated by Christina Arum Sok, the 2014 recipient of the inaugural VADA Curatorial Mentorship and Training Programme. Her series of projects seek innovative ways to communicate the diversity of contemporary art practice. As she notes, "In stripping down the expected boundaries between the art, the artist and the audience, we are creating an alternative platform and forum for contemporary art practice, opening up possibilities of engagement, interaction, interjection and interpretation." Originally and Truthfully will take place at Shophouse 5, a new private gallery located at 5 Lorong 24A in Geylang. The exhibition opening will be held on Thursday 23 July from 7:00 - 9:00 PM. For enquires or to arrange a viewing please call +65 6338 1962. Sunsook Roh (b. 1946) is an installation sculptor and interactive performance artist based in New York. She has exhibited installation sculpture and performed in New York, Japan, Singapore, Turkey, and South Korea. She obtained a BFA majoring in Sculpture with a minor in Art History from Parsons School of Design, New York. She also obtained a MFA in Sculpture from Bard College, New York. Selected exhibitions and performances include The Reconstruction Biennial, Exit Art, New York; Form, Korean Cultural Center, New York; JAALA Exchange Exhibition, Tokyo Metropolitan Museum of Art; Tree of Life V, solo show at Sculpture Square, Singapore; 2010 Asia Contemporary Art / Now and Next, Gwangju National Museum, South Korea; Displacement:6, Institute of Contemporary Arts, Singapore; and Synaptic Tales at the SPACEWOMb Gallery in New York City.